When you do your taxes, it won't seem so free anymore. Thanks, Blair. Besides the obvious misuse of quotes, if the RV is already free, why would you want to win it? Wouldn't you rather win an expensive RV? 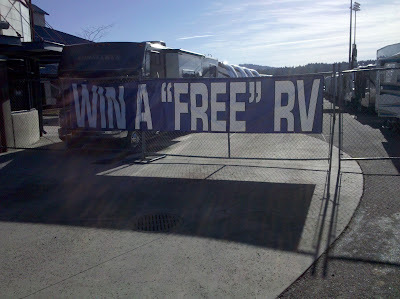 The RV is free, but you will pay through the nose for the furnishings.